When Shanez Sinnathamby first stepped into the operating theatres of hospitals in Mongolia as part of an Australian medical contingent in 2015, the culture-shock hit hard. “We saw practices that would be considered unsafe, unethical and unacceptable by Australian standards,” Shanez, a perioperative clinical nurse specialist at the Royal Women’s Hospital, said. “The World Health Organisation states that patients who undergo surgery in Mongolia are twice as likely to contract Hepatitis C. We saw surgical practices which were consistent with that figure and began addressing these on day one. At the same time, Shanez and her nursing colleague Kate Batchelor were impressed by the tremendous skill demonstrated by the Mongolian doctors and nurses, and their adaptability and drive to perform in sometimes difficult and modestly resourced conditions. The pair was awe-struck by stories of lives saved under circumstances utterly inconceivable in Australia. 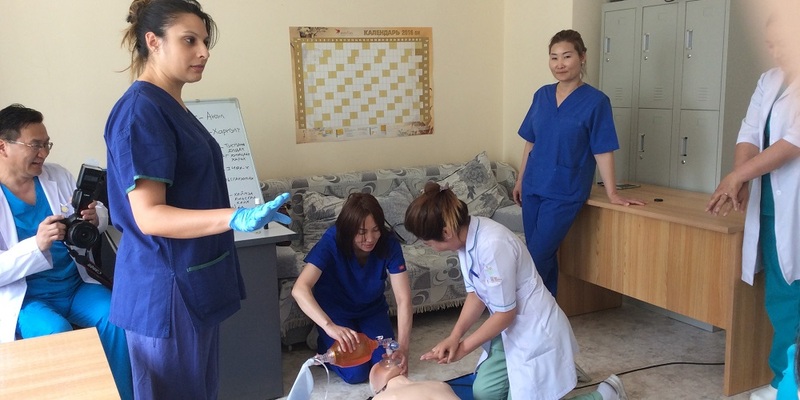 On their return to Mongolia in 2016, Shanez and Kate discovered that not a single nurse they encountered in the wards or operating theatres had ever been trained in basic life support (BLS). If a patient collapsed in front of them, they would just “wait for a doctor” to attend to the patient. “It was so disheartening to hear. Basic life support skills, such as CPR, are such a vital part of any health professional’s role and nurses are often first responders to patients in critical situations,” Shanez said. Consultant anaesthetist Dr Natsag Bayartsogt, from First Maternity Hospital in Ulaanbaatar, organised training sessions at three Mongolian hospitals where Shanez trained scores of staff in basic life support with a resuscitation mannequin donated by The Women’s Operating Suite. “Those education sessions will remain among the most professionally rewarding experiences of my career," she said. A group of gynaecologists and anaesthetists has been heading to Mongolia for more than 20 years to help train Mongolian doctors to advance practices in gynaecological surgery, laparoscopic surgery and anaesthesia. The impact of Shanez and Kate’s presence in the group has been huge. However, 2015 was the first year that nurses joined the group. The Women’s relationship with Mongolia was established by Dr Jeff Tan more than 20 years ago. The Women’s laparoscopic-gynaecology surgeon Kym Jansen first joined the contingent nine years ago and now heads a group of about thirteen doctors in different specialties, and nurses who travel there each June for two weeks. 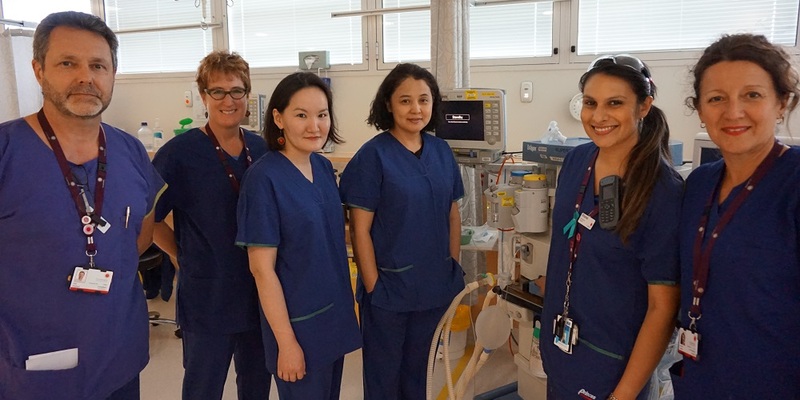 For medical staff working in a public hospital, the costs can be recovered through Continuing Medical Education (CME) funding, but for any nursing staff wishing to volunteer their time and expertise, no funding is available. For the last two years Shanez and Kate have paid for their own flights and accommodation and volunteer their time during their annual holiday leave. A fundraising page has been set up to help support nursing staff from the Women’s to continue the progress they have made with the Mongolian theatre teams. They hope to raise $10,000 to help support the expanding nursing contingent to Mongolia over the next few years. This cost will cover flights and accommodation. Visit the My Cause webpage for more information and to make a donation.